This summer, while most of us were getting sunburnt near the coast, or getting sore legs after hiking in mountains, or having long naps after hectic nights, the lucky MUSCATE teams stayed at work, with a good and efficient air conditioning, convenient armchairs, fast computers and accessed to the best canteen in the world at CNES. So it's no surprise they progressed a lot in all aspects, but even if they benefited from perfect conditions, we should thank them a lot. First of all, the colleagues solved the issue that delayed a lot MUSCATE production in late spring. It was a memory issue, with a heavy swap consumption that slowed then crashed the MUSCATE ground segment. Doubling the available memory on the catalogue server solved the issue. As a result, since beginning of July, MUSCATE had only two interruptions of production, due to maintenance interventions on the CNES platform. As it may be seen below, the monthly average plot in orange shows that the production rate is at its best in two years. As a result, MUSCATE is now meeting its requirement for real time production, which is producing more than 80% of data within 2.5 days after their release from the PEPS mirror site. In fact, it is even 78 % in less than 1 day. 78% of the products available in PEPS are processed by Theia within 1 day, 90% within 3 days. But for users, the important statistic is to know how long it takes to get a L2A product from its acquisition. There are 3 steps for that, the L1C production lag in ESA, the L1C download lag by PEPS from ESA, and the production lag by THEIA. It seems that the longest lag is due to PEPS, because it still takes quite a lot of time to download all the Sentinel-1-2-3 data globally from ESA. To conclude, MUSCATE produces 80% of level 2A in less than a day, and, cumulating all the steps in the production since the acquisition, our stats show that more than 80% of the products are delivered after 6 days, which is still in time for a lot of applications, I hope. As we still hope to improve, we will keep you updated. we had started processing S2B data in October 2017, in real time, while Sentinel-2B had been available starting from July 2017. The MUSCATE teams have completed the reprocessing of all Sentinel-2 (A and B) data from July to November 2017, for all our sites. We have started distributing monthly syntheses of cloud free surface reflectances over France, since the month of April 2018. Everything is explained in this post. We will extend it to the other zones, end of 2018 or beginning of 2019. As you may have heard, MAJA can be applied to Landsat 8. We had been distributing Landsat 8 data before Sentinel-2, using a prototype of MUSCATE ground segment. But with the start of the operational MUSCATE, we had stopped that production to focus on Sentinel-2. As the issues are behind us, hopefully, we are going to resume production of Landsat 8 data over France metropolitan and oversea territories. The feature you will probably like is that we will use for Landsat the same grid as for Sentinel-2. You will find Landsat 8 data for tiles such as 31UDP or 31TCJ ! The production has started from the data acquired in March 2017. The real time production will be reached soon. The team is also adding to the distribution server the LANDSAT processing we had done a long time ago with MUSCATE prototype. 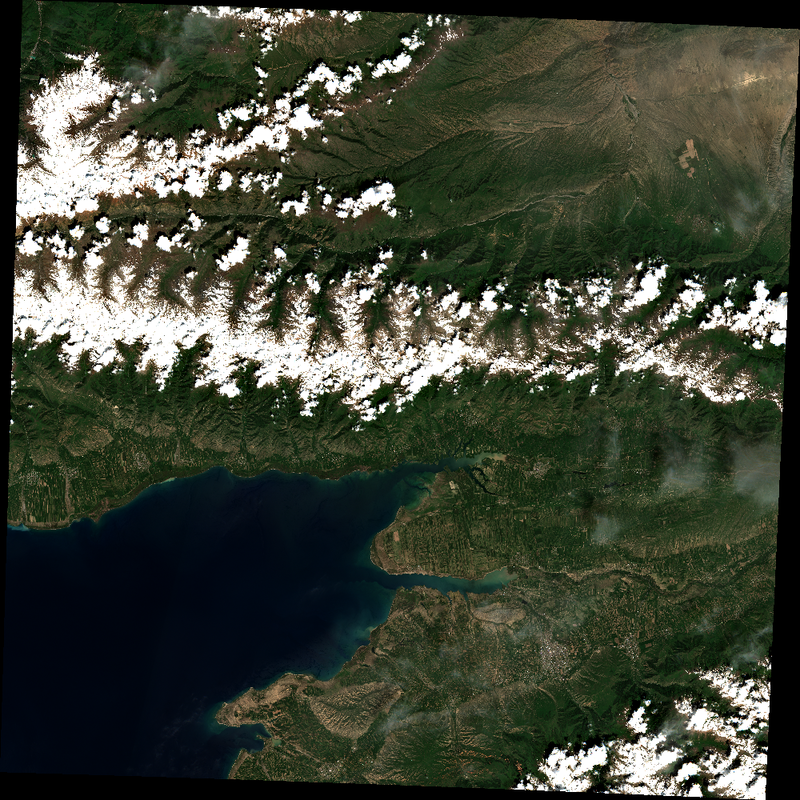 It contains LANDSAT 5, 7 and 8 images. these images are processed with a different grid than what we do with the new LANDSAT 8 data, using the Lambert 93 projection. And here is a final news, which concerns PEPS and not Theia directly. PEPS now allows on-demand processing of Sentinel-2 L2A using MAJA.